Treat your instrument panel to a winter facelift with a step-by-step guide in the December-January issue of S&G, where you can also find out how the Shark 304SJ fared in a UK competition environment and how suitable NATS-endorsed SkyDemon Light is for glider pilots. Do you wish your instrument panel looked a bit smarter? Perhaps you are thinking of adding an instrument or two, or you have plans for a state of the art panel, particularly if you are planning competition or extensive flying involving wave, at home or abroad. You have two choices: give it to an expert or DIY. Adrian Long chose the DIY route last winter and shares his experience with aninformative step-by-step guide. If cloud-flying instruments had been fitted in the HpH Shark 304SJ Jez Hood borrowed to compete in the 18m Nationals, he may have achieved a top five position. As it was, Jez finished in the top 10 flying the Shark, which he says held its own admirably with a performance that was right up there with everything else. Many of you may have seen the Shark (and 50 of you flew it) during its summer tour around UK clubs. You’ll find all the results from BGA-rated UK competitions in this issue, along with the announcement of the BGA provisional ratings list. There are also reports from those representing the UK in overseas comps, including the Flapped Europeans, Unflapped Europeans, Junior Worlds and Aerobatic Worlds. With the 2011 Philip Wills National Enterprise Trophy up for grabs, Competition Enterprise President Justin Wills looks at what makes a flight qualify for the trophy. Are you in with a chance? If you’re flying cross-country, SkyDemon Light offers a graphical, endorsed method of getting NOTAM data. 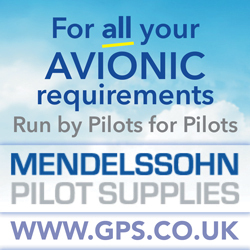 Is it suitable for glider pilots? Mike Fox investigates and meets the program designers. It may have changed its name (from Chairmen’s Conference), but the BGA Club Management Conference and Treasurers’ Forum on 19 November was every bit as valuable for delegates as in previous years. Delegates took away the message that every tough time has its opportunities and that it is important for the sport to ensure it is well placed to turn these to advantage. Also in this issue: BGA Chairman Patrick Naegeli reflects on a year of success and challenges. BGA Development Officer Alison Randle asks the question “what is your club for and how does it work?”, emphasising that we all have a vital role to play. Adam Hurd looks at the challenges of being a deaf glider pilot and talks to an instructor forming a team to specialise in teaching the deaf. Chris Cooper reports on a visit to Burn GC by members of the British Limbless Ex-Service Men’s Association (BLESMA). Ian Hamilton explains how an annual event for patients and staff from the rehabilitation ward of the Southport and Ormskirk Hospital Spinal Injuries Unit is reducing rehabilitation time for patients. Andy Perkins looks at how Juniors are benefiting from investment in aviation, with several scholars sharing their success stories. 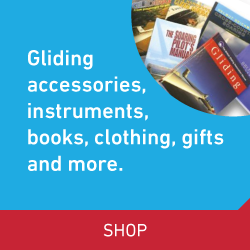 Nick McCloud highlights the top 10 Christmas gifts for glider pilots on his wishlist last year. 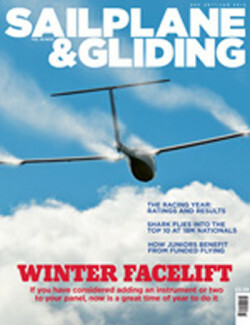 Vintage gliding news includes Slingsby Week, vintage OLC and a Wenlock Olympian Gliding event announcement. Plus, there are more truly stunning images on the Gallery pages. What is your club for and how does it work? Time to give your panel an update?